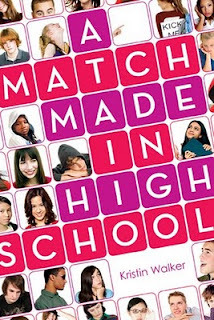 Today I have with me Kristin Walker author of A Match Made in High School, which if you read my review you know is one of my top reads for this year. 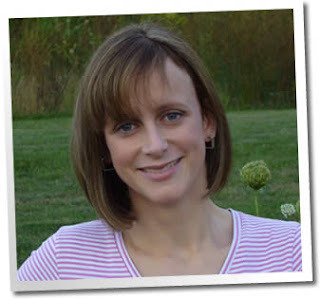 Kristin was nice enough to do this interview with me so let's show her some love! 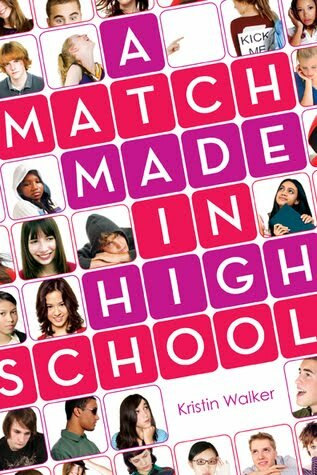 What was your inspiration for A Match Made In High School? I didn't really have an inspiration so much as a desire to write a funny young adult novel. I also was trying to think of a subject I knew a bit about, and marriage fit the bill for both of those requirements. I really wanted to turn some stereotypes on their heads, as well, and I hope that came across in the book. All of your characters are so funny! Were they semi-based on real people, or were they mostly from your mind? Thank you! Many of them had some characteristics I pulled from real-life people. Some were totally made up. Fiona and Johnny were semi-based on real people, but Todd and Amanda were totally new. I don't really have as much of a ritual as I have necessities. I have to use a computer--no long hand writing for me. I type faster, and I absolutely must have a delete key! I used to hit the caffeine really hard, but I've recently decaffeinated myself, so I try not to go that route. But I'm not militant about it; I'd rather get some work done. I haven't de-sugared myself though, so I often have some candy nearby to boost my blood sugar and get my neurons firing. What is your advice for any aspiring writers? Keep writing! Write as much and as often as you can, and don't worry if it's garbage. Most writers have piles of garbage in their files, so that's normal. The thing that is hard is persevering through all the bad stuff to get to some good work. So don't quit! What are some of your favorite YA books/authors? Where can I start? Some of my favorite authors happen to be friends of mine like Kristina Springer, Saundra Mitchell, and Mandy Hubbard. I also love John Green, Laurie Halse Anderson, and Pete Hautman. A couple of particular faves are UNWIND by Neal Shusterman, and THE BOOK THIEF by Markus Zusak (amazing! ).